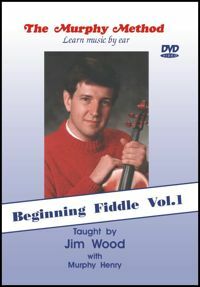 Beginning Fiddle Volume 1: You’ve been wanting to play fiddle all your life. Perhaps you even have your grandfather’s fiddle. But you’ve heard it’s a difficult instrument to tame. Not to worry! You’ve come to the right place! We begin at the beginning and explain everything slowly and clearly. We start with “Twinkle Twinkle Little Star” to make it as easy as possible for you to get going. Then, note-by-note, we guide you through five traditional fiddle tunes and “Amazing Grace.” Our arrangements are simple but authentic. Good for kids starting out on fiddle, too. No Tab.